The regional grouping is grappling with several other concerns as well that are worth noting. The 48th foreign ministerial meeting of the Association of Southeast Asian Nations in Malaysia concluded by releasing a communique last week. As expected, most media reports focused on the position of ASEAN with regard the South China Sea dispute involving China. This is newsworthy because the issue has regional implications and the ministers were able to formulate a joint statement on a divisive topic. In 2012, no communique was released by ASEAN ministers in Cambodia because of divergent views on the aggressive activities of China in the disputed waters of the South China Sea. It also expressed support for Iran nuclear agreement and the warming of relations between the United States and Cuba. In addition, the communique also promoted moderation as the ASEAN approach of addressing conflicts. Furthermore, the communique provided updates on ASEAN’s improving relations with various countries such as Australia, Canada, European Union, India, Japan, Republic of Korea, New Zealand, and Russia. 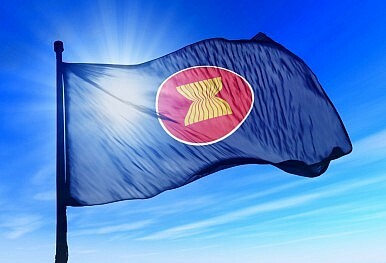 It reported that Canada and European Union have expressed commitments to appoint an ASEAN ambassador. It recognized the strategic role of the United States in “sustaining Southeast Asia’s rapid economic growth and maintaining peace and stability.” At the same time, it also affirmed its commitment to realizing the ASEAN-China Free Trade Area with an aim to achieve the target of USD 1 trillion on trade by 2020. The communique is also useful to determine ASEAN’s assessment of its own socioeconomic situation. While many are worried about China’s military dominance, ASEAN is also concerned about its economic prospects as a more basic concern. “The continued moderation in China would have an impact on the ASEAN’s forecast growth rate, given ASEAN’s strong economic linkages to China. The region is also faced with financial challenges as the persistent strengthening of the U.S dollar against domestic currencies, as well as the ongoing Greece debt crisis, which may cause volatility in the global financial markets,” the communique read. A few days after releasing the communique, Indonesia reported lower economic growth while Malaysia’s currency was devalued. These troubling reports should make us realize that economic jitters, and not just the China ‘threat’, are hounding ASEAN countries today. Aside from this, the communique also made reference to other regional problems such as the “irregular movement of persons”, people smuggling or trafficking, illegal drug trade, transboundary haze pollution, and climate change vulnerability. Finally, ASEAN warned China that its land reclamation activities in the South China Sea “have eroded trust and confidence, increased tensions and may undermine peace, security and stability” in the region. It took note of Indonesia’s proposal to establish a “hotline of communications” between ASEAN and China to address emergency situations on the ground. It also endorsed the implementation of a Code of Conduct in the South China Sea. The 2015 communique issued by ASEAN’s foreign ministers reflected the unique perspectives and priorities of the regional grouping. Some were unhappy about its failure to directly make China accountable for its rude behavior toward its neighbors, while some appreciated that ASEAN was able to finally issue a stronger statement regarding the South China Sea dispute. We should also be careful not to equate the communique with the actual commitment of ASEAN member countries. For instance, the communique declared full adherence to the protection of human rights even if many ASEAN governments are guilty of violating the political and economic rights of their citizens. Overall, the communique is a reminder of the dynamic character of ASEAN as a political formation. On one hand, it strives to establish a more solid community of nations with an integrated economy. But on the other hand, it is also a group of neighbors besieged by transnational crimes, environment pollution, and the specter of a rising superpower represented by China.